A cartoon that is so well known, I doubt there would be one in the world never watch this cartoon before except to the areas where TV is not common. 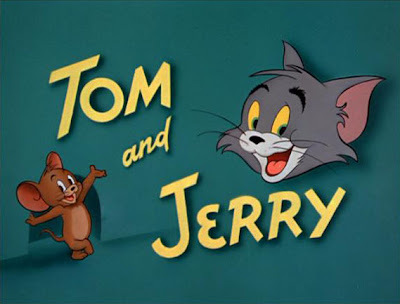 In real life, I always wonder would 2 friends or brothers with names Tom and Jerry respectively be fighting like this cartoon couple? I have few friends named Tom and Jerry but none of them know each other, meaning my friend Tom is not friend to Jerry and vice versa. Leave a comment to share your experience if you have. 2 hamsters new to the family. They are the little cutie's pet. Angry is the outgoing "Jerry" that likes to bite whereas Shy-shy is the shy "Jerry" that always hides himself from stranger. It's going to be another few months to meet her again, for sure she will learn something new and surprise everyone in the family. Who knows later she would want a cat, err... a Tom.